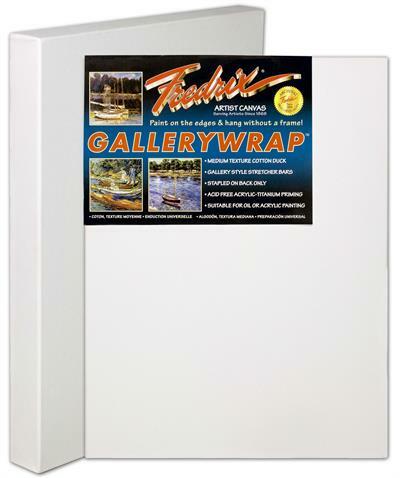 Fredrix Artist Series Gallerwrap canvas is a medium texture, superior quality, cotton duck canvas. The acid free, double primed surface is suitable for either acrylic or oil painting. 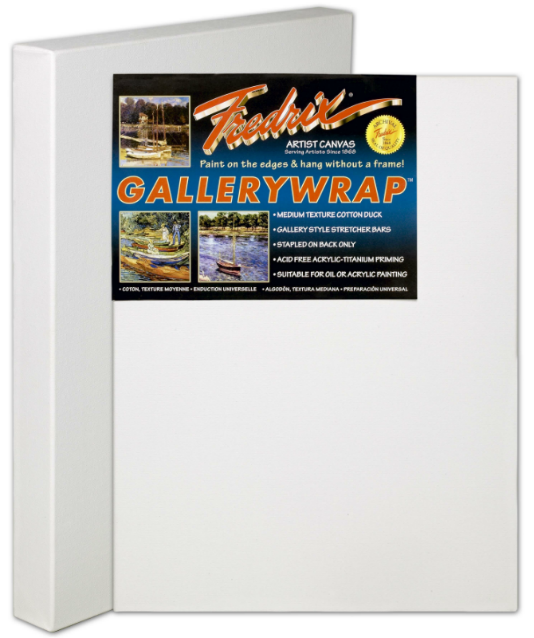 This back-stapled canvas features a quality 1-3/8" heavy-duty stretcher bar, double the thickness of a standard "Studio" canvas. Able to hang with or without a frame, this versatile canvas is an excellent choice for your artistic needs!